Are you looking forward to Christmas? Or are you worried about ruining the day due to seasonal bugs. 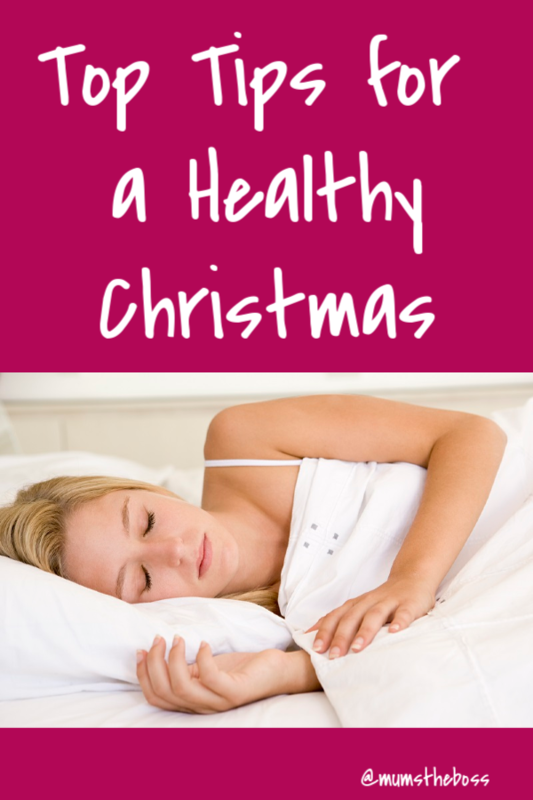 Here are some tips to help you guarantee a healthy Christmas for everyone. At some time in our lives, we’ve all had a Christmas day where we’ve been not been on top form: either a sickness bug brought home by the kids; or the dreaded flu right when you should be relaxing and enjoying yourself! It’s an experience best not repeated! I’m often haranguing the children at this time of year to wash their hands thoroughly and to keep wrapped up warm to avoid the winter bugs. But what about us Mums? We’re dashing about doing all the shopping, cooking all the food, preparing the house for visitors, making outfits for nativity plays, writing the Christmas cards, as well as attending all the school plays, concerts and services. 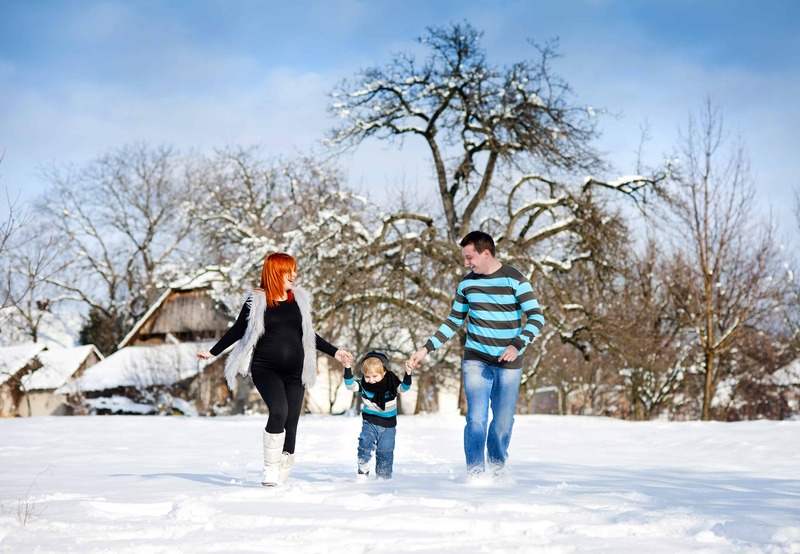 It’s easy to forget about looking after yourself at this time of year when all your energies are concentrated on ensuring your children and family are having a lovely time! Get peeling and chopping as soon as you get back from the shops! 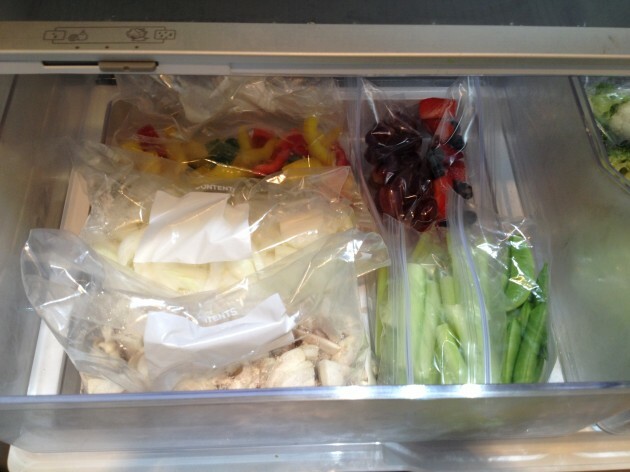 Although it may seem like a chore – it really does save time, and it makes the whole family eat more healthily. As you can see in the photo, I wash, peel and chop vegetables like onions, mushrooms, butternut squash, celery and broccoli. 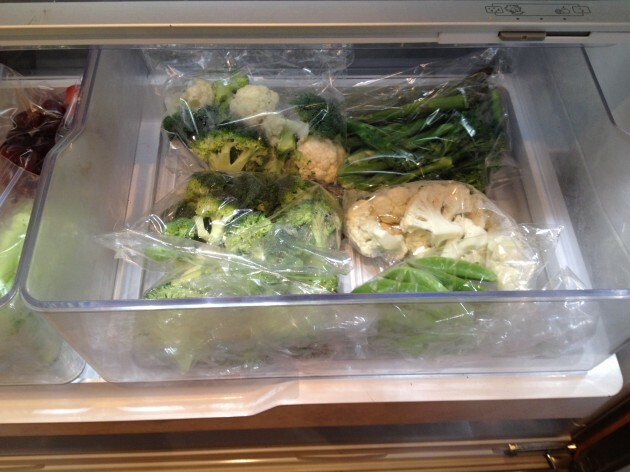 Then I either put them in big zip lock bags so when cooking something the veg is already prepared; or divide into smaller portion sized bags for snacks. Making packed lunches becomes very quick, and snacking becomes much more healthy – instead of reaching for the mince pies it is just as easy to grab a bag of celery! For more perishable items I have learned a few tricks: wash strawberries in balsamic vinegar and dry thoroughly before storing; and apples chop and wash in a solution of lemon juice and water and it slows the browning process. Much cheaper than buying vegetables/fruit ready prepared. Then when you need a portion of veg to go with your family tea, all you need to do is put the bag in the microwave and hey presto, veg is ready! Steaming is more healthy as fewer nutrients are lost in the cooking process; plus no washing up pans or boiling water on the hob so it saves energy too. We cooked a roast lunch on Sunday using veg cooked in this way – it was a revelation, the only tricky bit of washing up was the roasting tin, we didn’t use any other pans! It may be colder darker and damper, but that is no excuse. Dress up appropriately and try and get outside for at leat half an hour a day , maybe more. Your body will thank you for it. Sleep can help fight disease and illness and help you get better more quickly. As we sleep, our body increases the production of certain proteins that fight disease. A lack of sleep can lead to less white blood cells (key to our immune systems) being produced, making you more susceptible to infection. There are lots of practical steps you can take to improve your sleep: from sleep monitoring apps to relaxing bedtime routines. Remember, looking after yourself is just as important as looking after your family. Hopefully trying just one of these little tips will give you a much better chance of waking up on Christmas morning without some horrible bug to ruin your day! Maintaining a good health is really essential. And what do you do you do to keep your body fit and fine and working over a longer period of time. Well there isn’t a single way but several options that can keep you going with good health and physique. You prominently have to take care for the diet that you are consuming to ensure better workout and health. And apart from that there are several fitness centers that are becoming one of the highly adopted ways that people are choosing to take a break from their routine and consider the health of their body. Thank u for your suggestion. Great post. The big focus area for me is sleep, and I love the focus you put on that in what you said. With so much going on I think we all just fail to sleep because it is the most neglected activity (at least in my household). Thanks for the great suggestions and tips. It’s going to be a great 2014 for my improving health. good post. vegetables and fruit is not enough for family healthy. they need to keep maintaining their body too. so they have more energy for tomorrow. Cool. Nice and neatly done. I must practice peeling and chopping vegetables soon as I got home. Thanks for the advices. I would like to add my own summarized version of how to keep yourself in self for Christmas and any holiday, really. Don’t go to heavy on the meat, don’t sleep on yourself too much (get some exercises) and keep your alcohol intake as low as possible. That’s it! Thank you for the advice….It is always christmas that is the most joyus holiday but also the one where we overeat ourselves and overwork ourselfs…Every advice is great and welcome…Thanks!! Thanks for sharing this informative post. I’ve been facing problems with the Sleep and that stuffs … After reading this post, i’m getting new ideas of what can i do to overcome problems. I’m not sure what “steamer bags” you are talking about, but I’d like to try them. Can you send me a link to something similar on Amazon or something? Nice tips, green veggies and fruits are really healthy. I think we can continue with these tips, whole year itself to stay fit and healthy. Its not difficult to maintain your good health. Just follow some rules and make it a habit of doing these things regularly . Like go for exercise daily. This knows each and every body that exercise is essential for good health but still its a fact that we never do the same.Eat fresh and good things but sometimes we still don’t bother about the same . So these are very common thing which we can do regularly for making our self healthy without any extra cost. Health is the main part of life, so we care for our health.Thanks for article. Health is the main part of our life, your tips for food is useful to us. Thanks for the share! Great idea, I will apply this and would check result. Vegetable is also effects on health, that’s why vegetable good for health. Sleep is so important. Most of us sleep so badly – too much caffeine and sugar, TV, iPad, laptops in the bedroom. Bad sleep health has been linked to many diseases. Take your sleep seriously! The vegetables are really necessary in keeping up a good health not only on Christmas but on regular days as well…Great Article ! Great post. you are right sleep can help fight disease and illness and help you get better more quickly .